University of Mobile offers a modern fitness facility complete with multiple treadmills, elliptical machines, and stationary bicycles. Additionally, the fitness center offers Matrix single station fitness equipment as well as limited free weights. There is also a full bathroom and shower for commuters wishing to utilize the fitness center before or between classes. Students wishing to use the fitness center must have a student ID to enter. Hours of Operation: 24 hours a day Monday – Sunday. The Faulkner Fitness Center is located on the 2nd floor of Faulkner Hall. This area offers Fitness on Demand which is a smart fitness solution that provides world-class virtual fitness programming. Students, faculty and staff are able to select a group fitness class on the kiosk and it will play through a TV in the room. There are free weights, fitness steps, a mirrored wall and much more. Female students can use the Faulkner Fitness Center any day of the week. The remainder of the university family can use the Faulkner Fitness Center during visitation hours only. Hours of Operation: 6am – 11pm Monday – Sunday. The university intramural complex consists of three fully lighted fields. There are two Bermuda grass fields used for football, soccer and Frisbee. Also included in the complex is a full-sized softball field with a brick backstop and covered dugouts. A portable outfield fence allows for complex adaptations, and bleachers make it easy and enjoyable to view all of the events. The intramural complex is open to UM students with a student ID for open play when intramural athletics is not scheduled. The university’s swimming pool is provided for students, faculty, and staff only. When the pool is open, the university provides a qualified lifeguard for supervision. Sand volleyball courts are located adjacent to the university swimming pool. These courts are available for UM students with a student ID for open play 24hrs a day. As long as there is a UM student present, guest are allowed. IMLeagues is a new website specifically designed for college intramural departments. A few of IMLeagues’ features include online sign up and scheduling, customizable team pages, message boards, and much more. All intramural participants will be required to create an account on imleagues.com. IMLeagues offers a live support button in the top right corner of all pages; please use this button if you encounter any difficulties. 3. Enter your information, use your school email address (@rams.umobile.edu), and submit. 4. IMLeagues will send an activation link to your school email account. By clicking on this link, your account will automatically be activated. 2.  Click on the “University of Mobile” link. 3. The current sports will be displayed on the left side of the screen. Scroll down to find the sport you wish to join. 4. Choose the league you wish to play in listed next to the appropriate sport. 5. Enter your student ID number. 1. Click on “Create Team” and enter any additional information requested. If student has not yet registered on IMLeagues: Click the “invite members” link on the team page, then click “Can’t find someone? Click here to invite by email address”. Input the student’s email address. All players must join your team and be accepted to your roster. 1. Find the team and captain name on division page and request to join. 2. Go to the captain’s “playercard”page, view his/her team, and request to join. 3. Accept a request from the captain to join his/her team. Jan 24 – Capture the Flag (Weaver Front Lawn) at 7 p.m.
Feb 4 – April 8 – Basketball (Redemption Church Gym) at 6:30 p.m.
Feb 7 – April 11 – Softball (Intramural Field) at 6 p.m.
April 22-23 – Kickball Tournament (Intramural Field) at 6 p.m.
April 25-26 – Sand Volleyball (Sand Courts) at 4 p.m.
May 4 – Putt Putt Masters/Spikeball Tournament (Intramural Field) at 12 p.m.
Sign up your team at imleagues.com/umobile or stop by the Student Life Office. If you have any questions about the classes, nutrition, or fitness programs, contact Zach Gaines at 251.442.2311 or email at zgaines@umobile.edu.